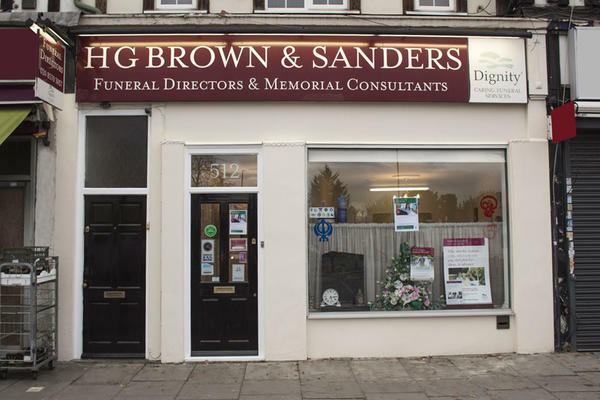 H G Brown & Sanders Funeral Directors in Heston, Hounslow, are here to give your loved one a respectful, meaningful farewell that honours their memory. We love being part of such a vibrant and diverse community, with families of many faiths and cultures living in Heston. We provide funerals for every religion and belief, especially for our Asian families, as well as repatriation services to Asia to give your loved one a safe journey home. We are here as a shoulder to lean on, helping you through any difficult decisions, and making sure all of your needs and wishes are met with nothing but the best quality of care. Whether you are from Heston or any of the surrounding areas of Hounslow, such as Norwood Green, North Hyde, Southhall Green, Osterley, Lampton or beyond, we are always here for you. You can contact us 24 hours a day. Call us today on 020 8570 3057 to talk through your personal requirements. At H G Brown & Sanders Funeral Directors, we understand how special life is with those that you love. For us, every funeral is unique and personal. We have a service to fulfil every wish, with every detail carried out with the same uncompromising quality of care. From a traditional service, to a colourful woodland burial, your options are limitless with our Full Service Funeral. If you have a little more flexibility when it comes to arrangements, then we can provide a Simple Funeral for a lower cost. Our funeral home is opposite the BP petrol garage on the Great West Road. Our staff are available 24 hours a day on 020 8570 3057 if you require our services outside of these hours.